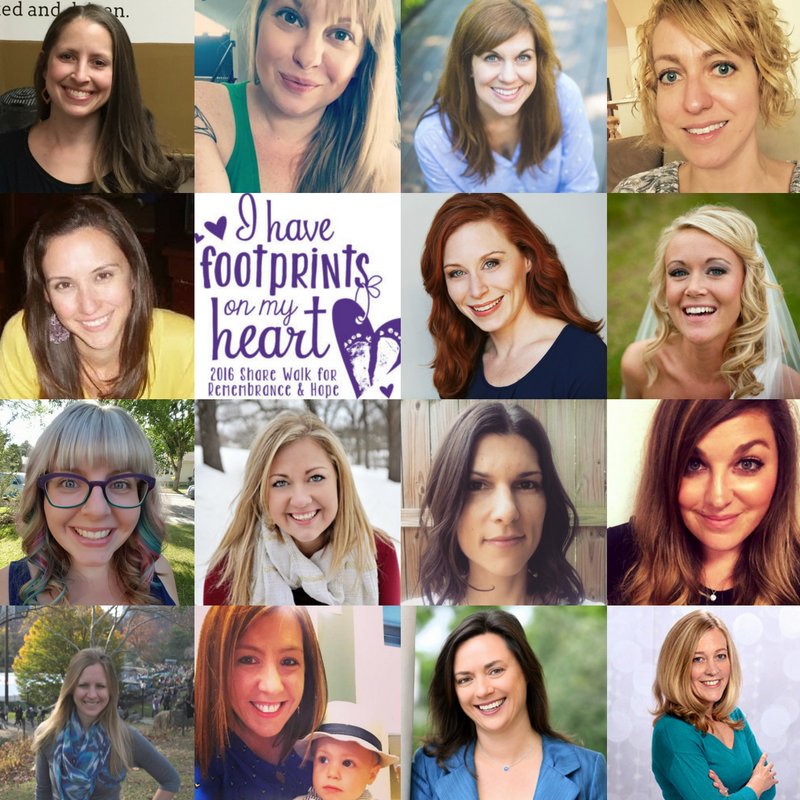 Join me and 14 other bloggers from around the country as we lead up to October 15th, 2016 with our Footprints Blog Tour. In 1988, President Ronald Reagan declared October as National Pregnancy and Infant Loss Awareness Month. On the morning of October 15th, 2016 I will join thousands of fellow bereaved parents to walk in honor of our babies at the National Share Walk of Remembrance in St. Charles, Missouri. Later that evening, at 7 pm, all around the world candles will be lit in honor of our lost babies as part of the Wave of Light. This year I am partnering with Share Pregnancy and Infant Loss Support to create a virtual Wave of Light through our social media outlets. To help us raise awareness of pregnancy and infant loss join me the next several weeks for a blog tour. Read my fellow warriors stories of loss, courage, hope, healing and honor. Let us come together to educate the world on pregnancy and infant loss and therefore build compassion for our continued healing. We would love for you to participate by sharing these posts far and wide. We'd especially love to see your own Walk of Remembrance and Wave of Light pictures on your social media outlets, please use the following hashtags: #ShareWalk2016, #pregnancyandinfantlossawareness, #WaveofLight. Don't miss the HUGE sale on Ever Upward this month too! Click here. Post links will be published once blogs are posted. Lindsey Bast - Awaiting Autumn - Do You See the Real Me?